I was originally going to title this post “Group II – West Coast” or “Group II – California”. However, upon review of my pictures taken during 2011 I decided to simply title the post “Group II – San Diego”, because that was more accurate. The vast majority of the pictures I took in California during 2011 were taken in the greater San Diego area. In past years I have made trips to other parts of California and other parts of the West, but for a variety of reasons I didn’t leave the San Diego area too much during 2011, aside from my East Coast vacation. I did make a couple of trips up to LA last year, but did not take too many pictures up there last year due to less than ideal conditions related to the weather. Hopefully, I will have better photo taking opportunities in LA and elsewhere in 2012. 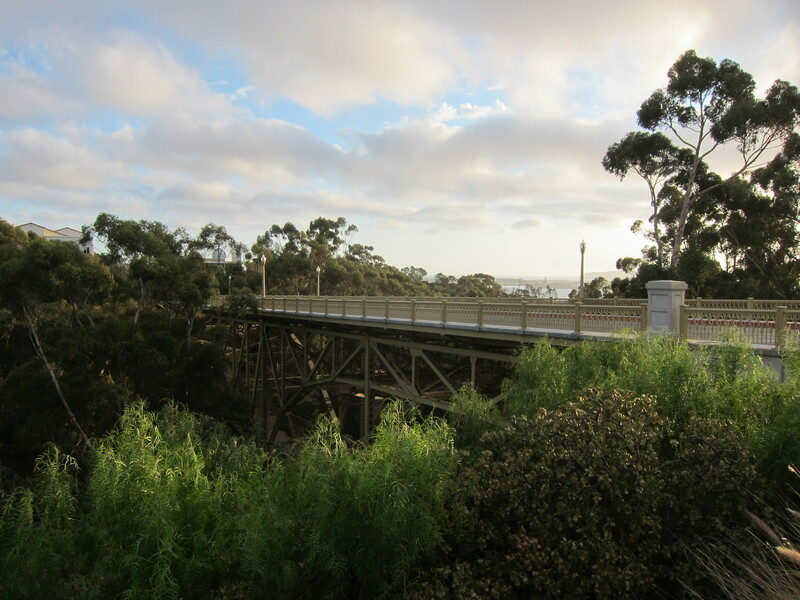 This bridge was built in 1931 and spans Maple Canyon, in the Bankers Hill section of San Diego. The steel arch bridge is 463 feet in length and 104 feet tall. I love the 1930’s era character of this bridge. They simply don’t make’em like this these days. On a clear day bridge provides good views of San Diego Bay, Coronado and Point Loma. 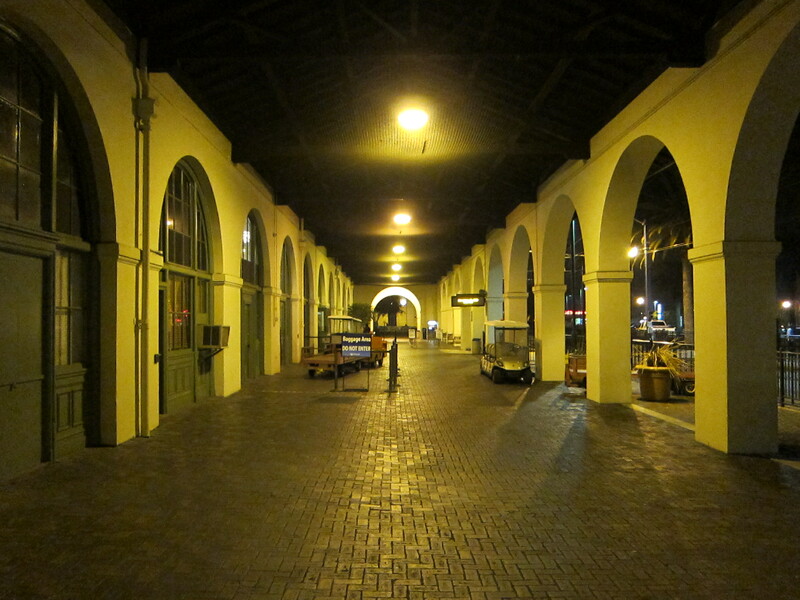 2) Santa Fe Station, San Diego. 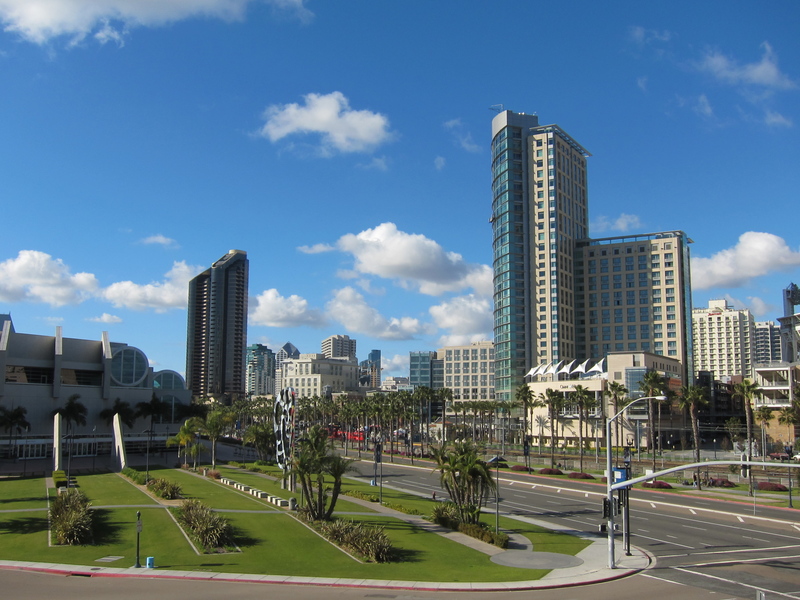 3) Downtown San Diego. This shot was taken from the parking garage next to the new Hilton Bayfront Hotel. 4) The San Diego Blackout. September 8th, 2011. This blackout caused the lights to go out in a large part of Southern California, as well as parts of western Arizona and northwest Mexico. Fortunately, the blackout only lasted about 12 hours, but it did bring normal life in the area to a screeching halt. 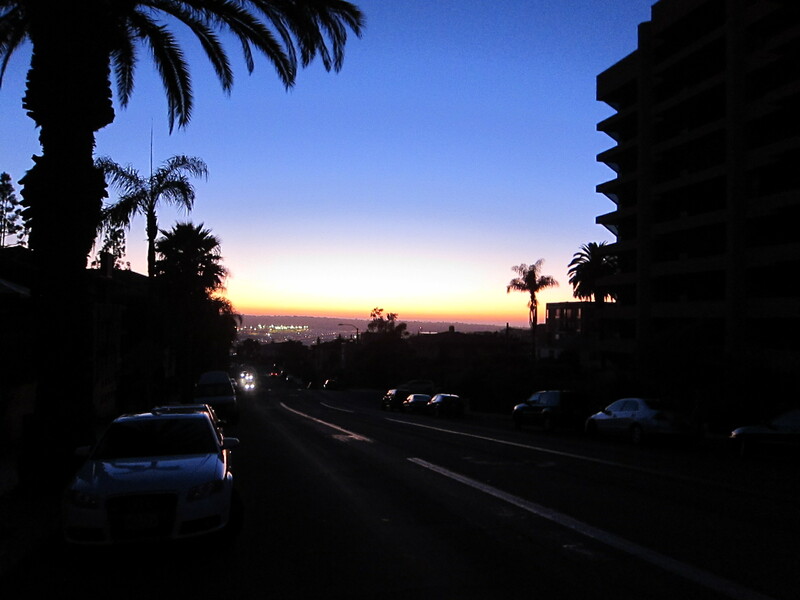 I took this picture at the upper end of Laurel Avenue, on Bankers Hill, facing west and looking down on San Diego’s main airport, Lindbergh Field. The airport had emergency power available for the runway, but not the passenger terminals, so flights came to stop as well. 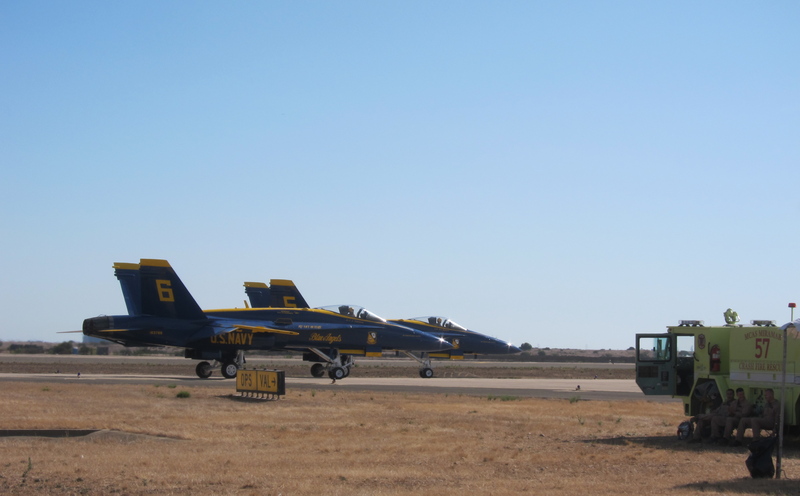 5) Blue Angels 5 and 6 head for take-off. I took this picture at the annual Air Show held at Marine Corps Air Station Miramar during October. The Blue Angels are comprised of 6 F-18’s and at the beginning of the show Angels’ 1,2,3 and 4 line at one end of the runway, while 5 and 6 line up at the opposite end of the runway and take-off separately. I have seen the Blue Angels perform at least 5 times now and they always impress. If you have an opportunity to see the Blue Angels in person I highly recommend it. 6) The beach at Cardiff by the Sea, CA. There are many towns along the coast of San Diego county that are very picturesque and Cardiff by the Sea is one of my favorites. 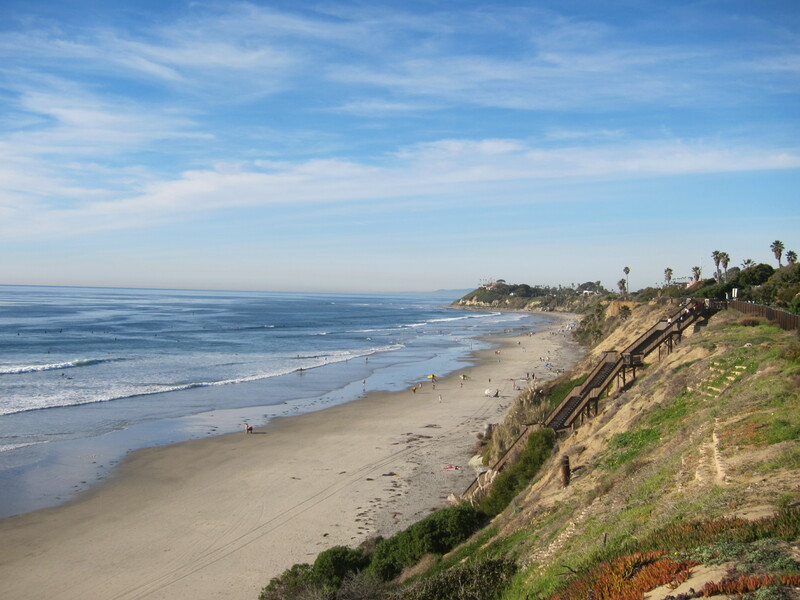 This picture features the view north, toward Encinitas. I liked this particular picture because of the beautiful meeting of sea, sky and land here. 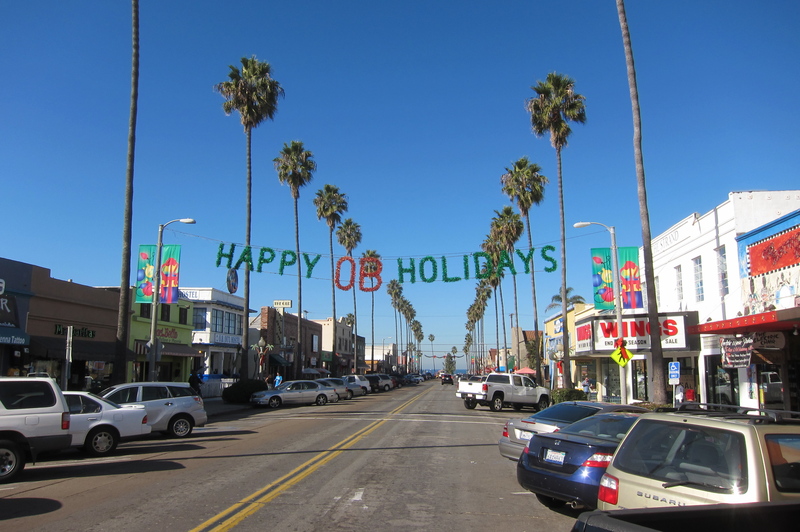 7) The Holiday Season at Ocean Beach. Ocean Beach is one of several beachside communities in San Diego. Like many sections of San Diego, Ocean Beach has the feeling of a small town, separated from the larger city. If you blow up this picture you can see the Christmas Tree set up on the beach. 8) The Pier at Imperial Beach. Imperial Beach is the most southern town on the California Coast. 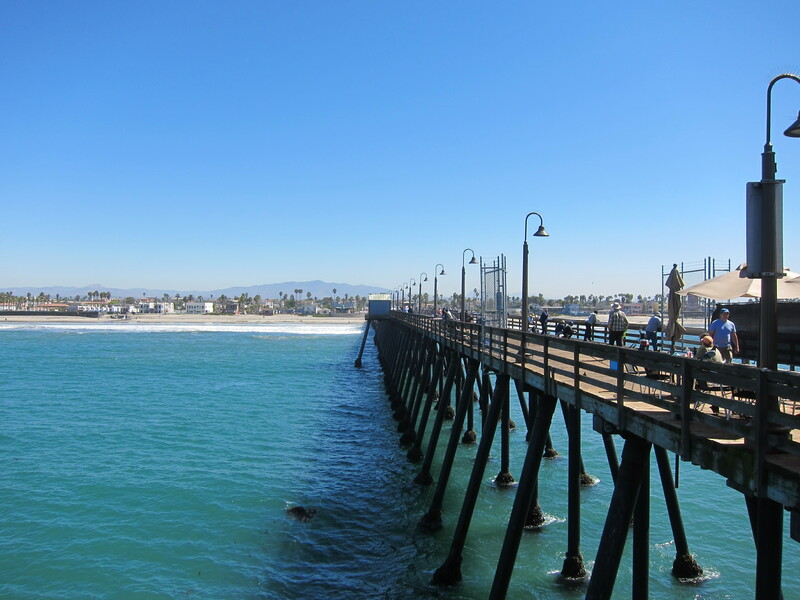 The pier is 1,491 feet in length and provides views of Mexico to south and San Diego to the north. 9) The Silver Line Trolly, Downtown San Diego. 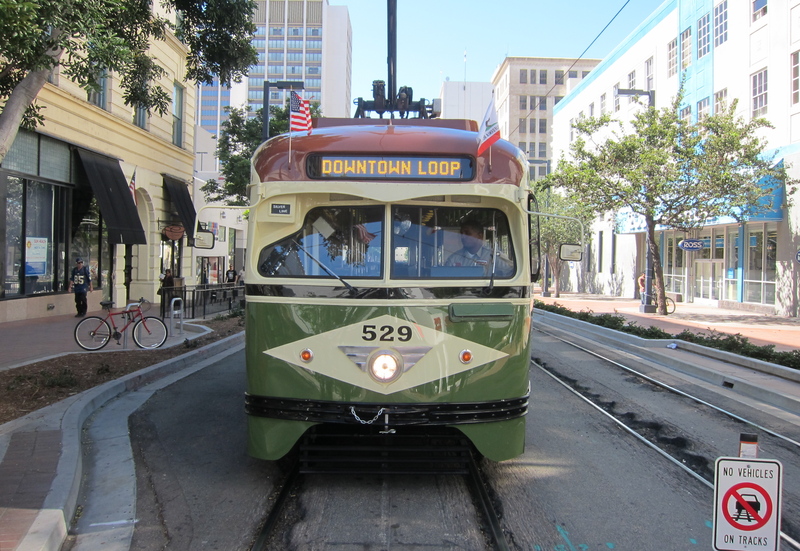 In the fall of 2011 the San Diego Metropolitan Transit System stated running this vintage trolley, aka Streetcar 529, on weekends. It travels on a loop of downtown San Diego called the Silver Line. Streetcar 529 was originally built in 1946 and was recently restored to original condition. I happened to catch the 529 standing still here as it was waiting for a traffic light to change at the intersection of 5th Avenue and C Street. 10) The Surfing Madonna mosaic in Encinitas, CA. This unique mosaic was installed by under a train bridge in Encinitas, CA back on Earth Day, April 22nd, 2011, by a group of men disguised as construction workers. The mosaic became highly popular, but was taken down by the city after a few months and because it installed without permission from the city. 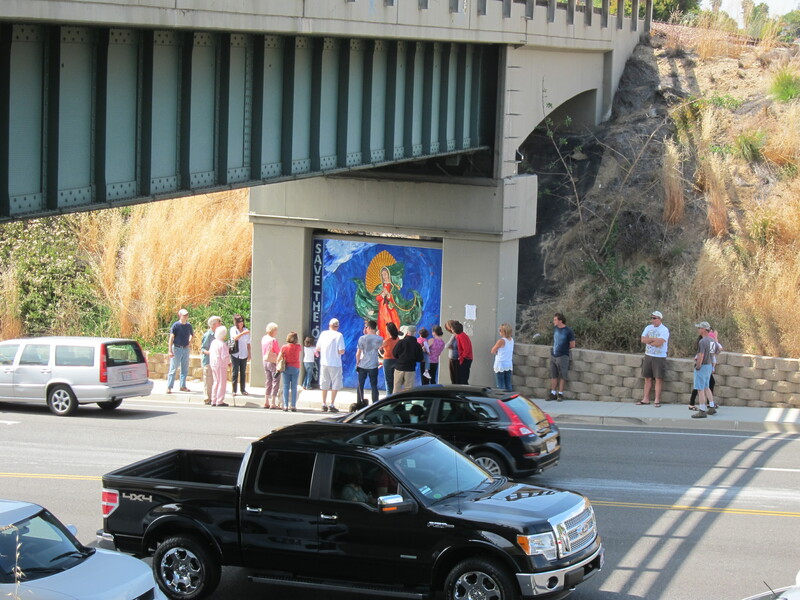 There are plans to reconstruct the mosaic and put on permanent display right off an intersection a few blocks away from the bridge site, but final approval from the city and state has not yet been granted, but hopefully that will happen.